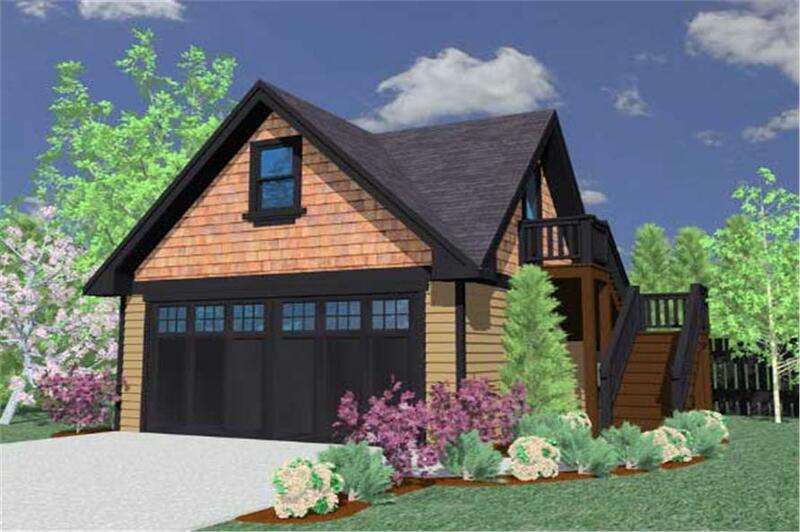 Home Plan: #149-1755 This is a computerized rendering for Garage Plan #149-1755. Here is a perfect detached garage with open studio above. Use your imagination when finishing this vaulted space. You could build a studio, office or small apartment above the two car garage. The flexible styling will fit most craftsman, lodge, and shingle style homes.